WASHINGTON — Two decades into a treaty that ignited fierce passions and rhetoric on the 2016 U.S. presidential campaign trail in the United States, negotiations will begin this month among Canada, Mexico and the United States to rewrite the North American Free Trade Agreement, with potentially huge ramifications for the auto industry. President Donald Trump isn’t he only person who thinks NAFTA needs to be renegotiated. The Canadian union Unifor, which represents 23,500 people in the auto sector, has, like Trump, labelled the pact a job killer. Trade negotiations usually take years of detailed work to hash out agreements covering multiple industries and products. In this case, the three governments will race to finalize a deal before other events complicate matters. Details about the structure of the talks have been limited so far. Automotive News got a sense of how the process will unfold, and how external factors might influence the negotiation timetable, from trade experts who based their comments on experience with previous agreements and conversations with officials participating in the coming talks. 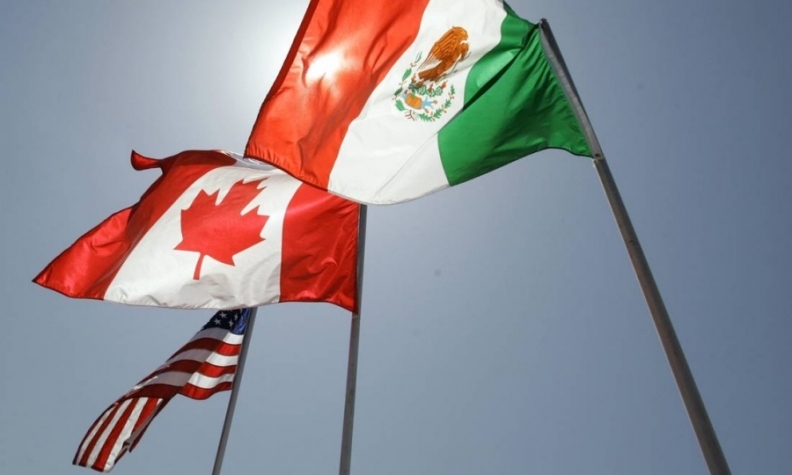 The initial session, Aug. 16-20, will be a feeling-out process, with Canadian and Mexican officials mostly in listening mode and discussions focused on establishing procedures for subsequent rounds. It will be closed to outside stakeholders. The U.S. Trade Representative’s office announced that John Melle, a 29-year veteran of the office who heads Western Hemisphere trade policy, will serve as chief negotiator. He will manage day-to-day negotiations conducted by technical leads for each subject area. Personnel assigned to each chapter of the agreement, such as rules of origin for goods that receive tariff-free treatment, will work through text line by line with the assistance of subject-matter experts from other agencies, such as the Commerce Department’s International Trade Administration for the auto sector. Canada’s Magna International, a parts supplier that employs 74,000 workers in Canada, the United States and Mexico, roughly equally in all three countries, supports modernizing the accord. But, through written submissions to the federal government it warned against sudden changes -- particularly around rules of origin, which regulate how much of a product must be domestically produced in order to receive preferential treatment under NAFTA. “A change to one element of the rule could have a cascading effect on other rules that may result in unintended consequences,” Magna CEO Don Walker wrote in the company’s submission. Mexico’s lead negotiator is Kenneth Smith, a Ministry of Economy representative who runs the Mexican Embassy’s NAFTA section in Washington, according to Antonio Ortiz-Mena, a senior adviser with the Albright Stonebridge Group and a former head of economic affairs at the embassy. According to Canadian media reports, Steve Verheul, who led negotiations for Canada during its trade talks with the European Union, is expected to lead the NAFTA negotiations. The federal government has also put together a 13-member NAFTA advisory council that includes Linamar CEO Linda Hasenfratz. All issues will be on the table at each session, with parallel negotiations taking place, said Les Glick, an international trade and customs attorney with the law firm Butzel Long. This format creates the opportunity for trade-offs in different subject areas, said Eric Miller, president of Rideau Potomac Strategy Group and a former vice president at the Canadian Council of Chief Executives. Mexican officials are keen to quickly conclude talks so their legislature can ratify an agreement before the Mexican presidential campaign season kicks into gear. President Enrique Peña Nieto will become a lame duck in the spring as the July election nears, which will make it more difficult for the government to implement any NAFTA concessions, said Scott Miller, a senior adviser on international business at the Center for Strategic and International Studies. If the talks don’t end by mid-February 2018, they couldn’t restart until January 2019, after the new Mexican president takes office, he added. Eric Miller, who visited Mexico in June and met with advisers for leftist candidate Andrés Manuel López Obrador, said NAFTA appears to have receded as a top campaign issue and that López Obrador is generally supportive of NAFTA if certain modifications can be made. But anti-American, nationalist sentiment could reignite if the U.S. pushes Mexico too hard for concessions, or if President Donald Trump again makes disparaging comments about Mexico or talks about a border wall, Doreen Edelman, a trade attorney at Baker Donelson, said. Driving the schedule on the U.S. side is the July expiration of Trade Promotion Authority, which gives the president authority to conduct negotiations on a fast track and then bring the pact to Congress for a straight up-or-down vote. Any extension of the authority would have to be approved by Congress, which is questionable given free-trade skepticism in the electoral bases of both parties. Experts question whether the ambitious negotiating schedule can be achieved, but former Obama administration deputy trade representative Robert Holleyman and Ortiz-Mena were cautiously optimistic. Deep benches of seasoned negotiators on all sides, the absence of negotiations over duties or quotas, and the fact that Mexico’s industry and government have been coordinating their position for months also augur well for a fast conclusion, Ortiz-Mena said.